My sister and I love making candles together. It's fun and makes the house smell great! Plus candles make great gifts--when we can bear to part with them. 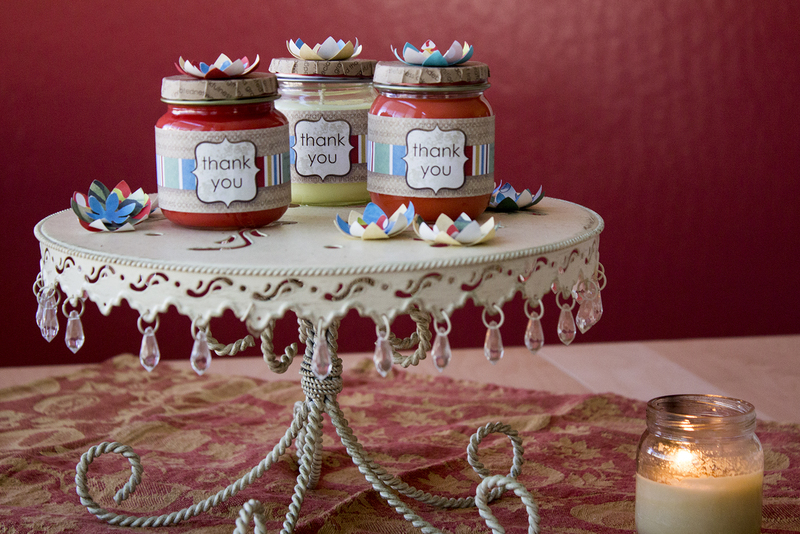 I got the idea to make candles in baby food jars when they were given as favors at a friend's baby shower. 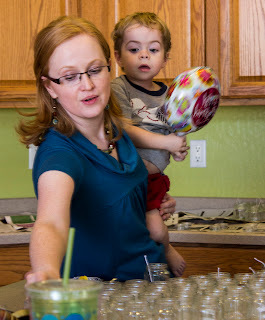 When I had Drew, I faithfully washed and saved all my baby food jars, and by the time my friend Beki had a baby shower, I had quite a collection saved up. For favors we made Macintosh Apple candles--her favorite scent--and I was hooked. Candles also make great "cards" for special occasions. I hate spending money on cards that people just throw away. So now instead I make them a candle! Thank you's, birthdays, congratulations, showers...I give "candle cards" for any occasion. 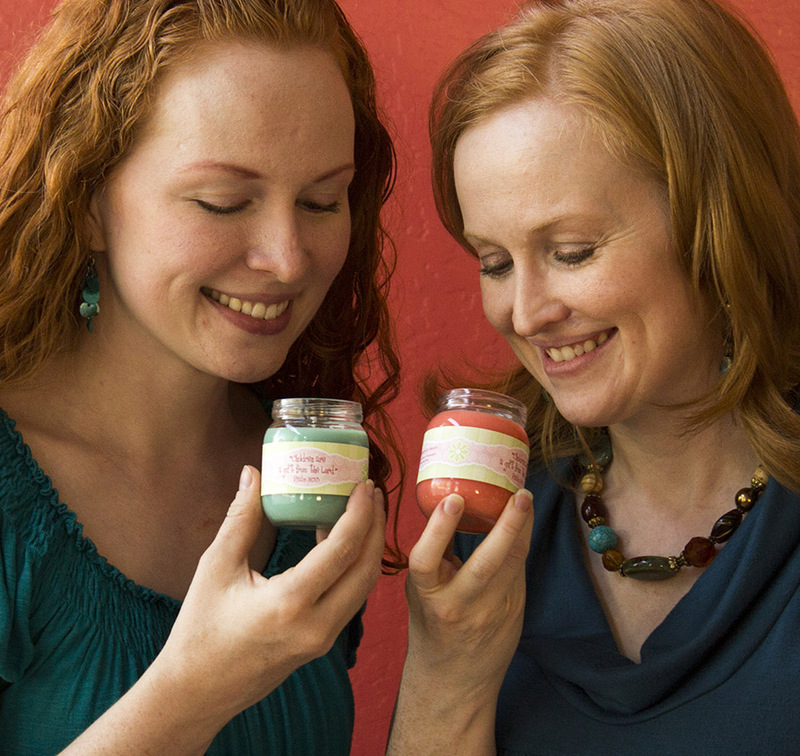 Making candles is something we enjoy doing together, and now we also sell them to raise money for good causes! So if you'd like to buy some hand-made candles, visit kinstra.com!